Everyone will love spending hours around the handsomely crafted Burnella fire pit. 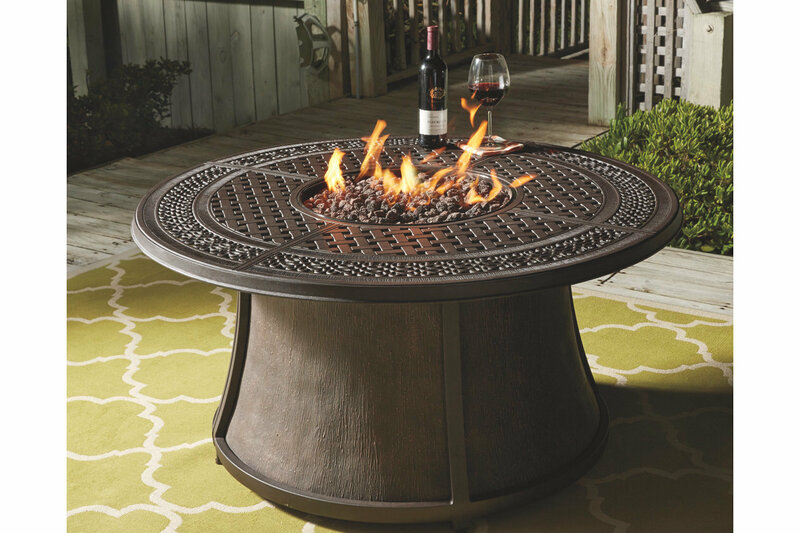 The 48" round tabletop has room for appetizers and drinks, and the lattice embossed pattern sheds rainwater quickly. Gas fire bowl ignites with a simple press of a button.